Despite the ever increasing shift towards becoming a paperless society, hard copy documents may never be completely eradicated. For this reason, it is essential that you and your workplace implement fail-proof systems to ensure secure document shredding. There are obvious dangers associated with the shredding of documents, as the need to destroy sensitive information is paralleled with requirements to archive certain information for future reference. Through the development of clear guidelines, your company stakeholders can rest assured in the knowledge that any risk to identity theft, sensitive information and important documents is being actively reduced at every opportunity. We have put together some suggestions to assist you in managing your company’s paper trail now and into the future. Knowledge leads to empowerment. If your employees are informed as to why documents must be shredded and which documents they are obliged to destroy, you can begin to work together to create a secure workplace. Ensure they are aware of the risks of neglecting to shred, as well as the importance of filing important information. Schedule regular meetings as new policies or documents emerge to allow employees to clarify their responsibilities. Create a ‘shred vs no shred’ infographic, and laminate a large colourful poster in your common areas where employees can regularly view the documents they are to shred. A simple, yet effective strategy is to nominate a willing employee as a shredding officer. Ensure they are up to date with the many documents that your company is handling and whether or not they are to be shredded. Their responsibility is to assist other employees on not only which documents they must shred, but how to effectively archive all saved documents for seamless future reference. At the end of each work day, employees should actively clear their desks by either archiving or shredding any loose paper. Communicate the risk of having unsecured documents around the office so employees understand their obligation. This will also significantly decrease the tendency to accumulate mountains of uncategorised paper that is at risk of being overlooked and accidentally shredded. 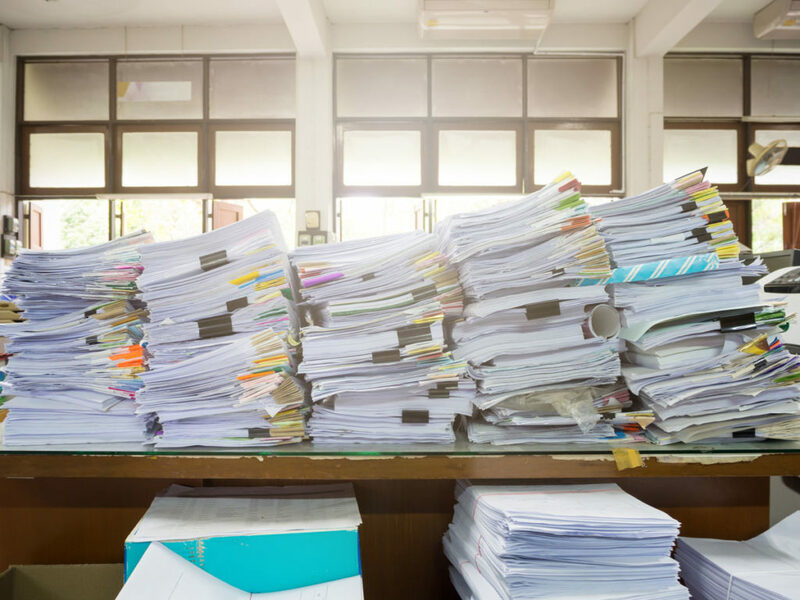 However your workplace chooses to implement their shredding policy, know that there is the need for continual refinement and clarification of responsibilities. By having each and every employee understand the ‘why’ and ‘what’ of secure document shredding, your company can look forward to an organised, safe and secure future.